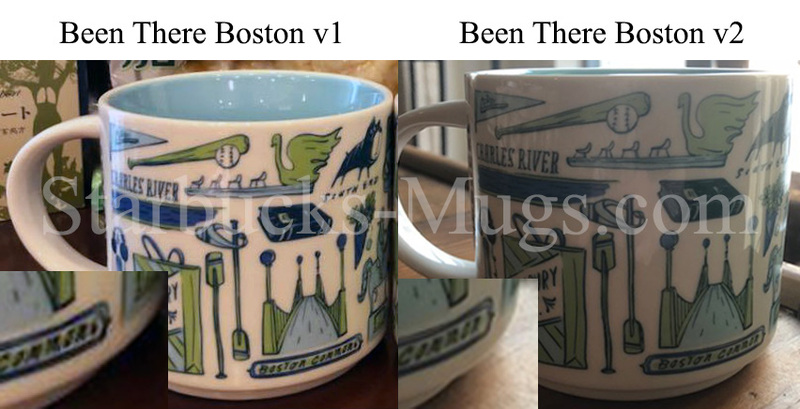 I know, these photos are really blurry, but we can still see, that v1 has “Boston Commons” on the back of the mug instead of “Boston Common” found on v2. Ironically this is a very common mistake made by tourists and non-locals. Remember this, when coming to Boston, guys! 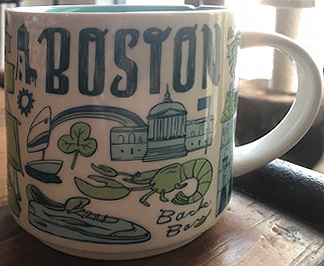 Again, this totally explains why there was a delay in releasing this mug, and the photo we saw earlier (v1), was the mug which had never hit stores. I have no idea how many of those exist, but there is always a chance owners decide to sell it on eBay or similar online resource. Here is the collage of all 3 sides of the new mug. Wait, so should there be an “s” or not for Boston Common?